The satisfaction rates of iPhone users are notorious, an industry best. That’s not surprising, considering Apple makes some of the best devices on Earth and that, for the most part, the competition can’t really measure up. 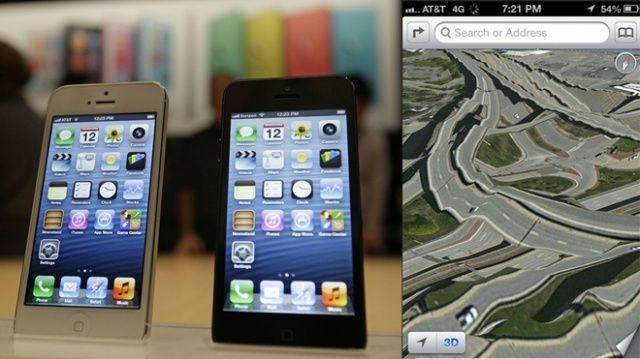 But while people are satisfied with their iPhones, iOS 6 and, in particular, its buggy, half-formed implementation of Maps has caused a dip in customer satisfaction. It’s not a massive drop, but it’s enough to show that the Maps debacle is tarnishing what is otherwise Apple’s best operating system. In a poll conducted by mobile customer research firm On Device which reached out to 16,000 iPhone owners in the United States, those with iOS 6 installed on their devices were slightly less satisfied than those with iOS 5: a drop from a satisfaction rating of 7.75 to 7.65. It’s a tiny drop, true. So why’s this news? Apple customer satisfaction has only gone up with every OS update. In fact, that’s true with the competition as well: Android satisfaction goes up with every update too. Look at how satisfaction jumped for iOS between iOS 4 and iOS 5. It went from an average of 6.93 to an average of 7.75. With iOS 6, satisfaction has dropped to about 7.65, when it probably should have gone up a whole point. It’s a shame that Maps is dirtying the image of iOS 6 in the eyes of so many iPhone users, because I think it’s an incredible update for features like Do Not Disturb, the new panorama functionality, shared Photo Stream albums and more. Maps is a hot mess, but it’s a shame it’s sinking the whole update for users.